Home › How to make sure you see Euraxess posts on your News Feed? If you don’t want to miss any of our posts, make sure your settings allow you to see them first! 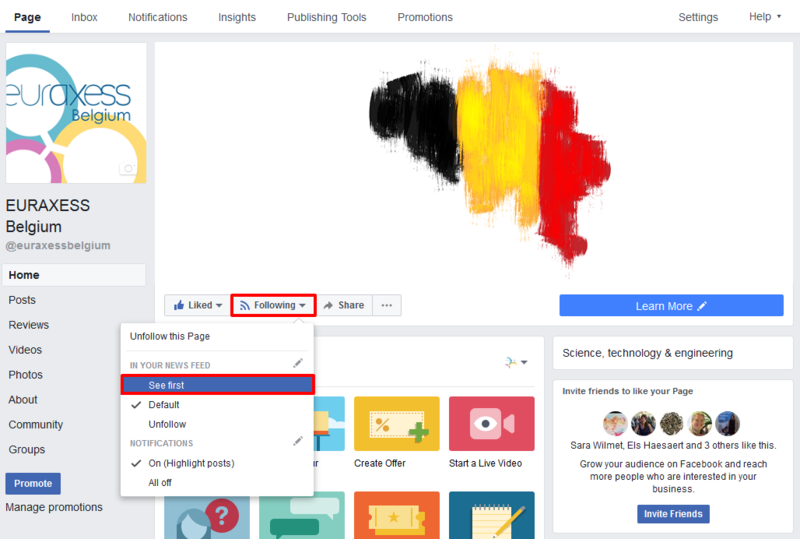 Facebook has recently changed its News Feed algorithm, so if you want to see more tips to boost your career (and fewer pancakes recipes), and be kept informed of nearby upcoming events dedicated to researchers mobility, then go to the Euraxess Belgium page, and change your settings. Once on the page, just click on “Following” and choose the option “See first” in your News Feed. That’s it, now you know how to control what you see on Facebook (well, more or less). You’re welcome!